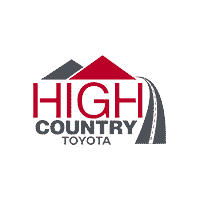 The High Country Express program makes owning a Toyota easier than ever with our complimentary door-to-door pick up and drop off for all your service needs. We are taking traffic, waiting, and paperwork off your to do list. In addition, we’ll bring your serviced, washed and vacuumed vehicle back to your home or office, on your schedule, anywhere within 60 miles of our dealership. In addition, you can also browse our entire selection of vehicles online and even schedule an at home test drive and WE COME TO YOU!